Operation that consists in maturation an alcoholic beverage. For the maturation process are used wooden barrels, usually of oak. The shape and size of barrels depend on the type of aging: for example, small barrels are used for the fast aging, because the relation between volume of the liquid and contact surface is more than in large barrels. An important feature is also the age of the barrel: the woody substances that react with distillate, giving the taste, aroma and color, in fact disappear with years. 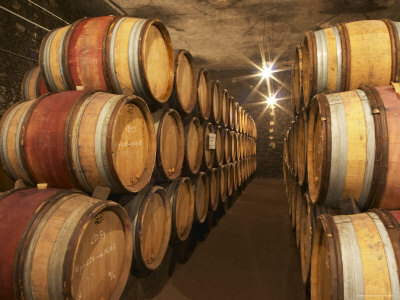 The wood, being porous, allows constant contact between air and spirit favouring the oxidation, the bitter of glycoside decreases hydrolysis while the tannins and other substances of the wood degrade giving their color, and the evaporation of water and of volatile components, after every year spent in the barrel there is a reduction of alcohol volume and content varying between 1 to 5%. Important is the figure of the master who, thanks to his experience as a taster, knows in which barrels, how long and to which treatments should be submitted a distillate to have the perfect aging: barrels of different vintages, in fact, will be mixed to give life to the products that are finally ready to be tasted. The white spirits, i.e. non-aged, after a process of cooling and filtering, are bottled or stored in stainless steel containers that prevent any development or supply of fragrances and flavors and to be immediately sold.